PUBLISH WITH EXPERT SUBJECTS, LLC. We can print your book as a paperback and distribute it all over the US and Canada, and in some cases, worldwide. Make use of our services, such as editing, interior layout/typesetting and cover design. Exceptions can be made for editing if your book is very well edited and your manuscript does not require any changes. During the editing process, based on their many years of experience in the publishing industry, our senior editors will offer you constructive criticism (if needed), which will strengthen your storyline and prepare you for publication. If you have your own editor and your manuscript is well written, you will still undergo an evaluation process by one of our editors. When your book is finalized, we submit a PDF copy to our channel partners for approval. Once approved, we print books and ship them to their distribution centers where selling begins. 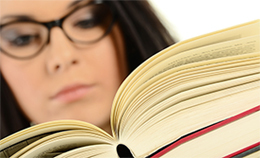 We handle all genres, fiction, non-fiction, educational and more. The approval process should not take more than a week. Our channel partners are looking for books that are: well-written, well-edited, and of course stories that are compelling, from fiction to non-fiction, educational, self-help, memoirs, children's books, cookbooks, and even magazines. We have teamed-up with the industry's finest and we know we can sell books. If you have used our services, then the heavy work is already done. Simply email Regina Anderson at Regina.anderson@expertsubjects.com and schedule a time and date for us to call you and go over the program in more details. Here are some FAQ that might also answer some of your questions.